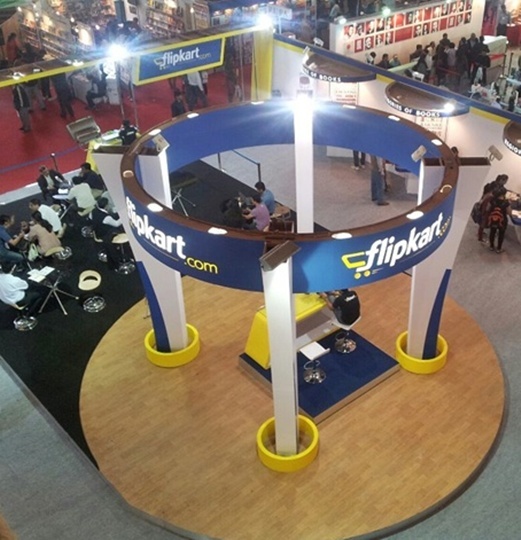 The second day of the placement season at Indian Institute of Technology (IIT) - Madras on Tuesday saw e-commerce major Flipkart Internet Pvt Ltd recruiting 19 students - the highest offer so far this season. Citigroup firm Citicorp Services came in second with 18 job offers. A total of 77 students were placed on Tuesday during the forenoon session. In all, as many as 235 IIT-Madras students were selected by various companies. Eaton Technologies offered jobs to 14 students, while Intel Technology picked nine students. Inasra Technologies (Stayzilla.com) offered jobs to three students during the day. Students who received offer letters from one company were not eligible to attend another interview. On Monday, a total of 158 job offers had been made between the forenoon, afternoon and the graveyard sessions. Sixty-four students were selected by multinational companies, both foreign and Indian. Investment banker Goldman Sachs hired 13 students on Monday, becoming the top recruiter on Day-1. Day-1’s afternoon session on Monday witnessed 77 job offers being issued, while the graveyard session, conducted from midnight to 6 am, saw 17 job offers being handed over. The number of companies registered to attend the campus recruitment at IIT-Madras this year has doubled, while the number of students opting for placement has come down from last year, according to an announcement by the IIT. Samsung R&D Institute India, Bengaluru, came in second on Day-1 in issuing offer letters. It offered eight jobs, while Visa Inc and Microsoft offered seven jobs each and Shell India Markets recruited six students. ITC offered jobs to five students, The Boston Consulting Group to four, McKinsey & Company, Xerox Research Centre India and IBM Research India to three each and Auctus Advisors and Hindustan Unilever to two each. Works Applications Japan recruited one student. During Day-1’s graveyard session, which is in tune with the day time in the US, Google offered jobs to four students and Microsoft to three; Services Now Software Development India, Visa Inc and Cisco systems recruited one student each. The first phase of the placement programme is on till December 5. The second phase will be held between December 7 and 15. This year, 1,391 students have registered for placement - which is far less than last year’s 1,435 students. However, the number of companies registered for recruitment has seen a jump from 372 in 2013-14 to 762 this year, out of the 1,000 invited. Students have also opted for deferred placement for the first time this year, with 10 students opting for this. The deferred placement was announced last year, but there were no takers. Under the deferred placement programme, students who are pursuing business ventures on their own can sit for the interview next year. The highest offer from a foreign company during the Day-1 recruitment was of $129,500 a year, while the highest offer from an Indian company was of Rs 30 lakh, according to sources. Will e-com bubble last longer with Tata, Premji, Murthy in fray? Why is the RBI playing it safe?